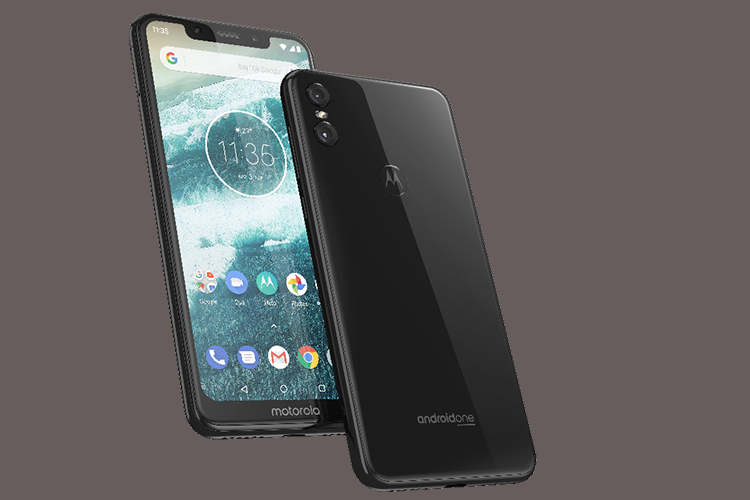 Motorola has announced the Moto G7 and Moto One smartphones for the Indian market today, with the latter being its second Android One phone after the One Power which was launched last year. The Moto G7 and Moto One are said to be available from today for Rs 16,999 and Rs 13,999 on Flipkart and Moto Hub stores, along with offline multi-brand retailers. But we couldn’t find either phone on Flipkart. The Moto G7 was first launched in Brazil last month and joins the Moto G7 Power, which was silently launched in India for Rs 16,999. The G7 Play and Plus variants are expected to be available in India soon. Reliance Jio is offering Rs 2,200 cashback on the Moto G7 and One. Jio subscribers can avail the offer through Rs 198 and Rs 299 plans, when activating them on the new phones. Starting off with the more expensive Moto G7, it sports a 6.2-inch Max Vision full HD+ LCD display with U-shaped notch. It is powered by Qualcomm’s Snapdragon 632 chipset, which is quite disappointing at this price range these days. We would have expected at least a Snapdragon 660 SoC. With the Moto G7 you get 4GB of RAM and 64GB of internal storage with expandable micro SD card support. 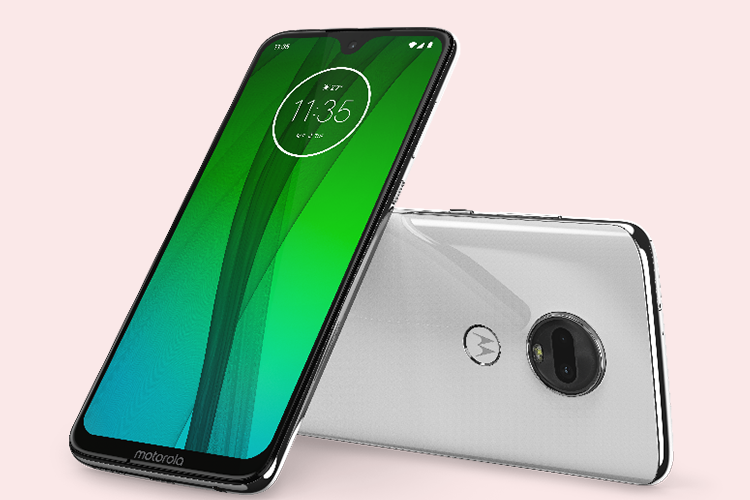 The Moto G7 smartphone comes with dual rear cameras – dual 12 megapixel sensors – with shooting modes such as portrait mode, spot color, cinemagraph, and auto smile capture, which we saw last year with the Moto G6. The notch on the front hosts an 8MP camera. The Moto G7 runs Android Pie and is backed by a 3,000mAh battery. Its 15W TurboPower charger is rated to give users 9 hours of power in just 15 minutes of charging. 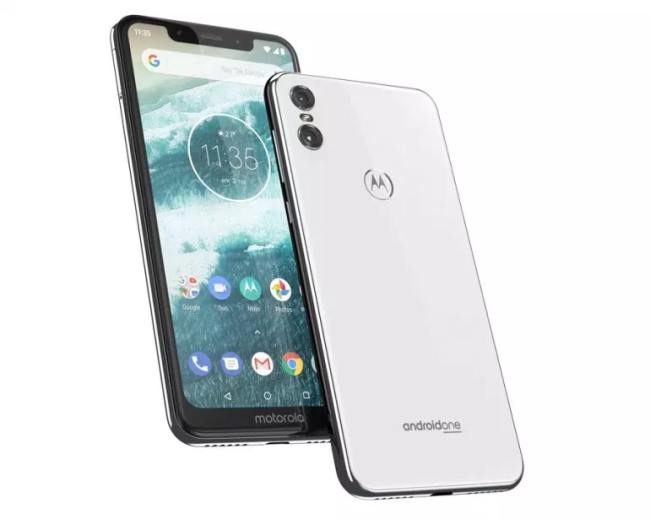 Joining the Motorola One Power, the Moto One is Motorola’s second Android One phone. It’s landing in India quite late considering it was announced globally in the middle of last year. The Moto One sports a 5.9-inch HD+ LCD display with a 1520×720 pixel resolution. It’s also got a notch like the One Power and is powered by a Snapdragon 625 SoC, paired with 4GB of RAM and 64GB of internal storage. It is backed by a 3,000mAh battery, and runs Android Pie, with just a few customisations. The Moto One also has dual cameras on the back (13MP combined with a 2MP depth sensor) which should deliver decent budget performance but we can’t help but feel it’s out-specced by the likes of the Mi A2 which is also available for around the same price.